The words "Facebook wall" have never been so literal...or actually maybe not, because our Facebook wall is actually a Facebook door...but still! 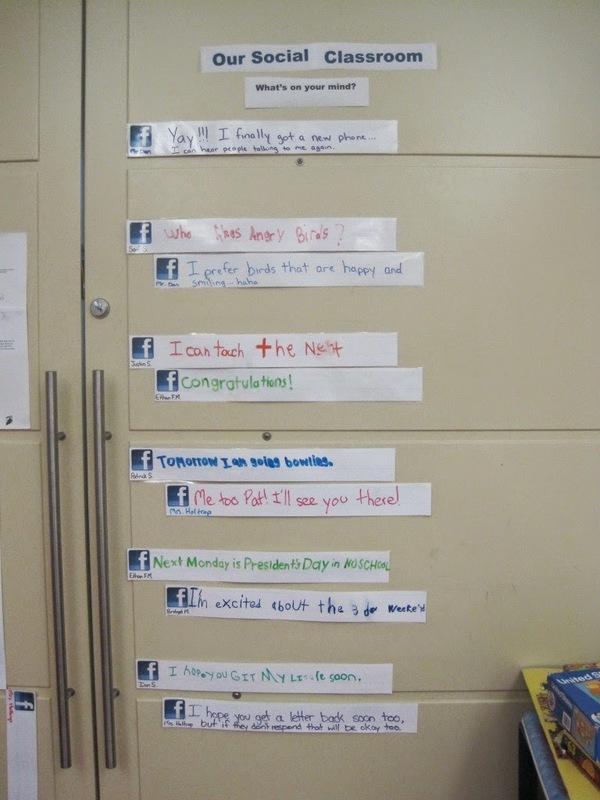 I created a Facebook wall for my classroom. A lot of my students are working on social skills especially starting (and continuing conversations). A few morning each week we start our day with updating our status (by sharing anything that's on your mind) or leaving a comment. This has also been a good activity for students who finish early. With some students I focus on spelling or verb tense, other students I focus on them starting their sentences with capital letters and ending with punctuation, and even other students I just focus on the ability to get their thoughts out on paper, no matter how difficult it might be to read! what an awesome idea to integrate today's technology in the classroom! thanks again for linking it up! Cute, cute! I like the way you have them write directly on the strips. 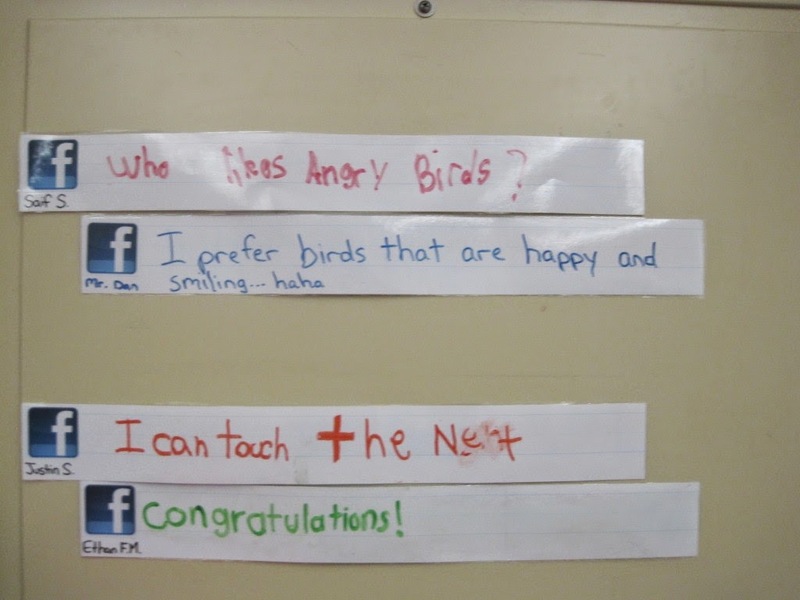 Since mine is made with a postermaker and hung in the hallway, I have my kids use the sentence strips which I cut to fit in width. I wish I could just let them use a dry erase marker but then busy fingers in the hallway would end up rubbing off the messages! i just wanted to let you know that this will be featured at this week's tip-toe thru tuesday party!! stop by and grab your featured button! i'd also love to have you link up again! This is just my opinion. As an ex-facebook user, I couldn't be happier and more productive (in soooo many ways) since I deactivated my fb account. Thanks for your opinion. My students have special needs, many of them with autism, and don't know how to carry on a conversation. They might be able to answer questions, but need heavy prompting in order to ask a related question or make a related comment. 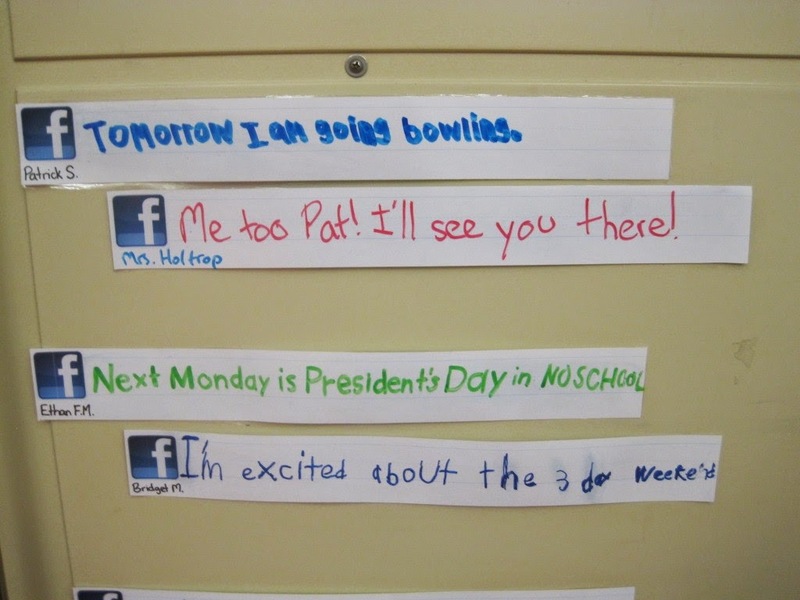 The facebook wall is a way to practice these types of communication at a much slower pace. 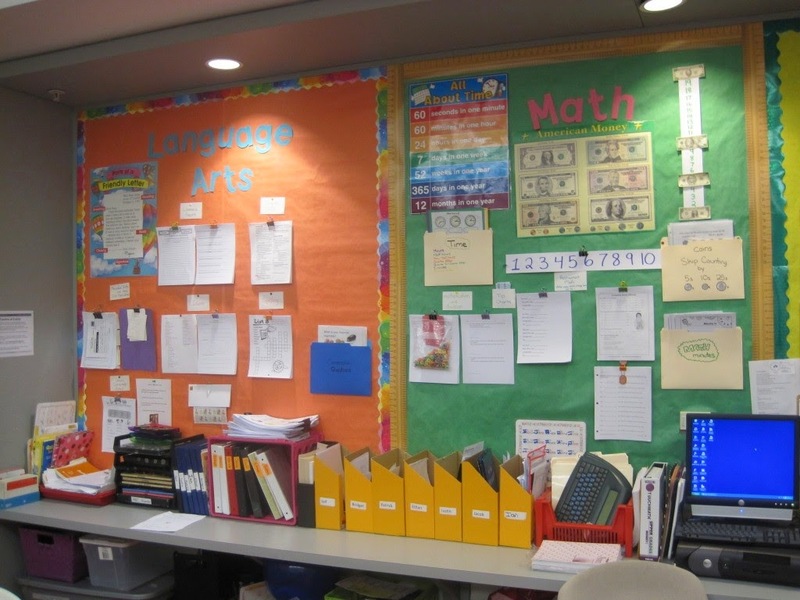 Classroom Update - 6 months into the year!